ComputerRentals.ca is your high quality and reliable video equipment rental source. Be it trade shows, conferences, parties, or other personal or business events, get top of the line audio video equipment from the leading rental company in Canada. Having served thousands of clients, we know what it takes to make your rental experience truly great. Right choice of audio video equipment can take your event a couple of notches higher in experience and success. Our expert customer care representatives can help you choose the best equipment suited for your venue and nature of event. We offer the best prices on all types of audio visual rental. Rent equipment by the month, week or day depending on your specific requirement. Our rental plans are designed to give you both flexibility and affordability. You can customize your own video equipment rental package for the event and combine all your requirements under a single, affordable video equipment rental agreement. 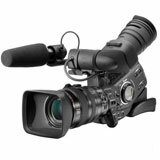 We also undertake video equipment sales of new or used equipment, in case you decide to buy out the rented equipment. Our wide delivery network across Canada ensures that you get your equipment on time at your venue. We take care of both delivery and shipping back of the rented equipment. You do not have to worry about transporting fragile equipment from one place to another. Our expert technicians also install the equipment on site and integrate it with other systems to make it immediately ready for use. The installation technicians also help your team members get a head start with using the equipment. We also take down the equipment after the event concludes. Get our technical team to stay and help on site for big events. They will support you throughout the event and ensure that no technical glitches interrupt it. Looking for video monitor rentals or high quality sound system rental? Call us to get a no obligation, free video equipment rental quote today.